The Rowlinson Hardwood Coldframe is a great growing environment for young plants before onward planting. 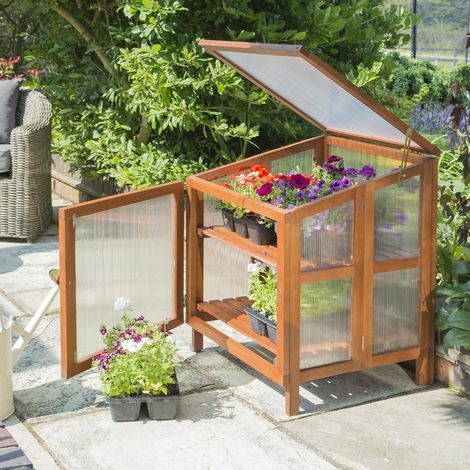 The cold frame features two storage shelves and twin walled polycarbonate glazing. The lifting lid with stay provides great ventilation. Two lifting lid with lid stays and adjustable height settings. Please note deliveries are to mainland UK only.